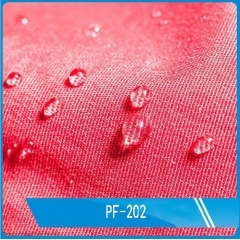 Buy Water based superhydrophobic coating PF-206,suppliers,manufacturers,factories-Anhui Sinograce Chemical Co.,Ltd. 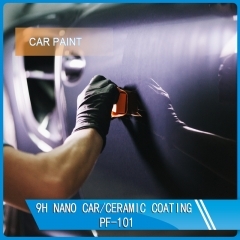 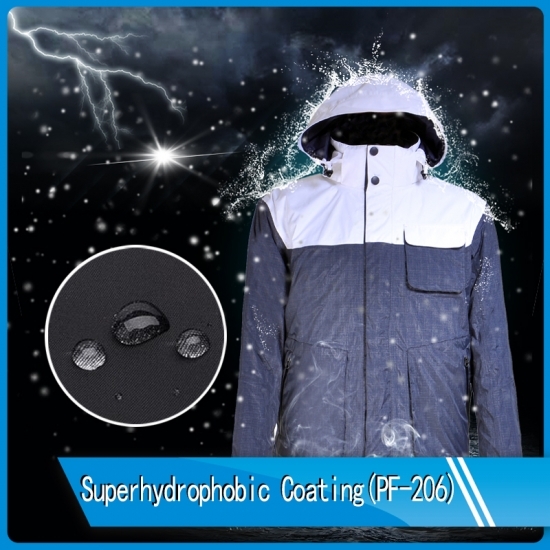 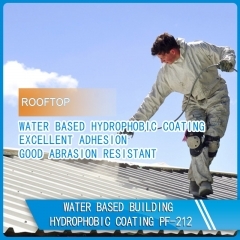 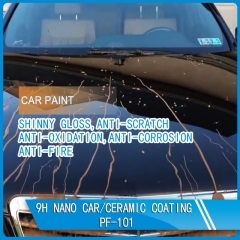 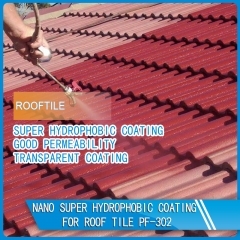 Water based superhydrophobic coating PF-206 is an aqueous emulsion and containing no flammable solvents, the new C6-fluorocarbon shows full performance regarding water, soil and oil repellency after drying. 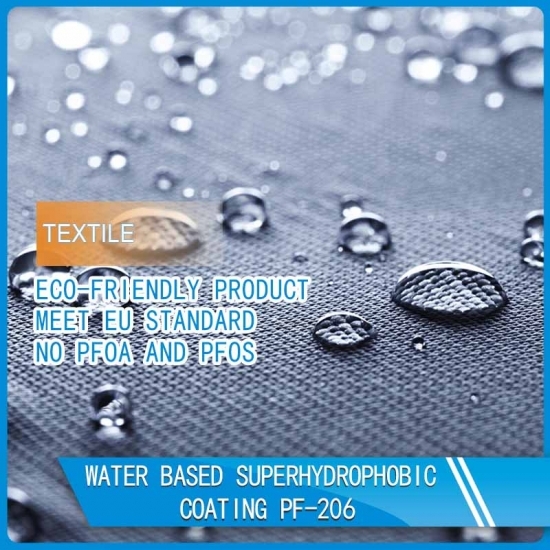 Suitable for all fiber types, laminates, leather and hard surfaces. 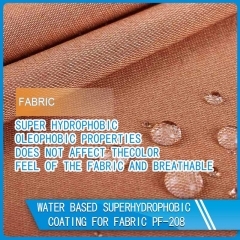 -Fabric, Textile, Cotton, Wool, Polyester fabric, Suede/leather corduroy etc. 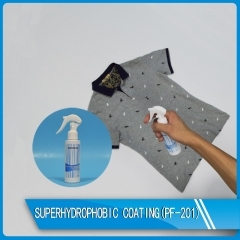 -Dry it under high temperature (>100℃) for 10-15min by using dryer, household electric iron, blower and laundry drier etc. 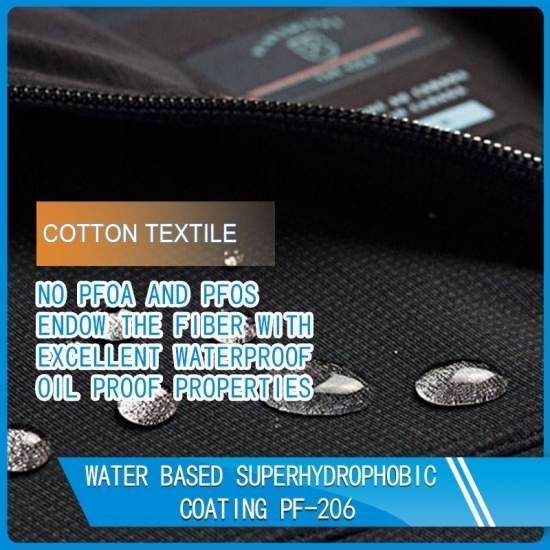 -Firstly, add the quantitative PF-206 into a container, and then the quantitative water is added into. 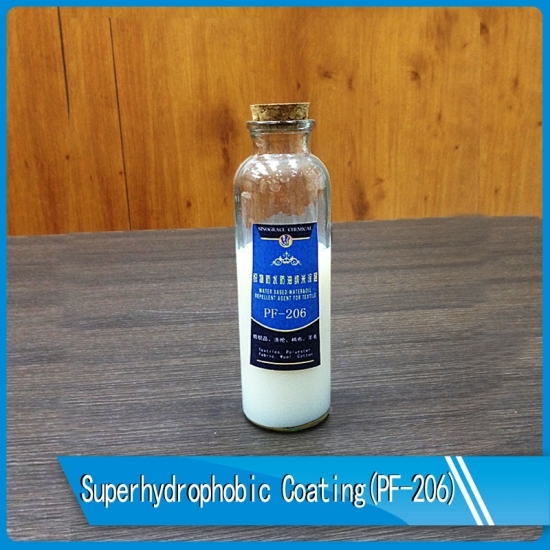 Finally, stir the solution at a low speed until uniformity. 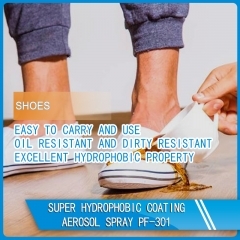 -While using it with crosslinking agent, penetrating agent, crease resistant resin and other additives together, all of these additives should be separately diluted and avoid additives raw solution mixing. 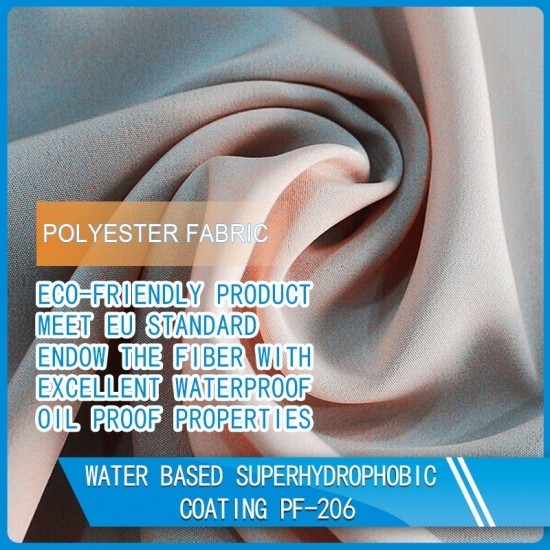 -Dry: Recommended 150-170℃ by the stenter setting machine for 60 seconds.